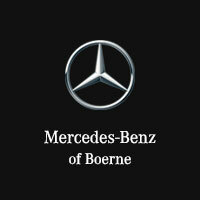 Contact Mercedes-Benz of Boerne today for information on dozens of vehicles like this 2019 Mercedes-Benz S-Class S 560. This Mercedes-Benz includes: CRYSTAL GREY DINAMICA HEADLINER TIRES: 245/40R20 FR Tires - Front Performance Tires - Rear Performance BLACK SOFT TOP (STD) Convertible Soft Top DRIVER ASSISTANCE PACKAGE Lane Departure Warning Lane Keeping Assist Adaptive Cruise Control PREMIUM PACKAGE Seat-Massage Automatic Parking Back-Up Camera Power Passenger Seat Power Driver Seat Heated Front Seat(s) Bucket Seats BURL WALNUT WOOD TRIM Woodgrain Interior Trim WARMTH & COMFORT PACKAGE Heated Rear Seat(s) Heated Steering Wheel Leather Steering Wheel WHEELS: 20 TWIN 5-SPOKE Tires - Front Performance Aluminum Wheels Tires - Rear Performance WHEEL LOCKING BOLTS (PIO) Wheel Locks DESIGNO FLOOR MATS Floor Mats AMG® LINE EXTERIOR *Note - For third party subscriptions or services, please contact the dealer for more information. * Every day feels like Saturday when you're driving a well-maintained, plush convertible like this one. Pull up in the vehicle and the valet will want to parked on the front row. This Mercedes-Benz S-Class is the vehicle others dream to own. Don't miss your chance to make it your new ride. You've found the one you've been looking for. Your dream car.Contact Mercedes-Benz of Boerne today for information on dozens of vehicles like this 2019 Mercedes-Benz S-Class S 560. This Mercedes-Benz includes: CRYSTAL GREY DINAMICA HEADLINER TIRES: 245/40R20 FR Tires - Front Performance Tires - Rear Performance BLACK SOFT TOP (STD) Convertible Soft Top DRIVER ASSISTANCE PACKAGE Lane Departure Warning Lane Keeping Assist Adaptive Cruise Control PREMIUM PACKAGE Seat-Massage Automatic Parking Back-Up Camera Power Passenger Seat Power Driver Seat Heated Front Seat(s) Bucket Seats BURL WALNUT WOOD TRIM Woodgrain Interior Trim WARMTH & COMFORT PACKAGE Heated Rear Seat(s) Heated Steering Wheel Leather Steering Wheel WHEELS: 20 TWIN 5-SPOKE Tires - Front Performance Aluminum Wheels Tires - Rear Performance WHEEL LOCKING BOLTS (PIO) Wheel Locks DESIGNO FLOOR MATS Floor Mats AMG® LINE EXTERIOR *Note - For third party subscriptions or services, please contact the dealer for more information. * Every day feels like Saturday when you're driving a well-maintained, plush convertible like this one. Pull up in the vehicle and the valet will want to parked on the front row. This Mercedes-Benz S-Class is the vehicle others dream to own. Don't miss your chance to make it your new ride. You've found the one you've been looking for. Your dream car.